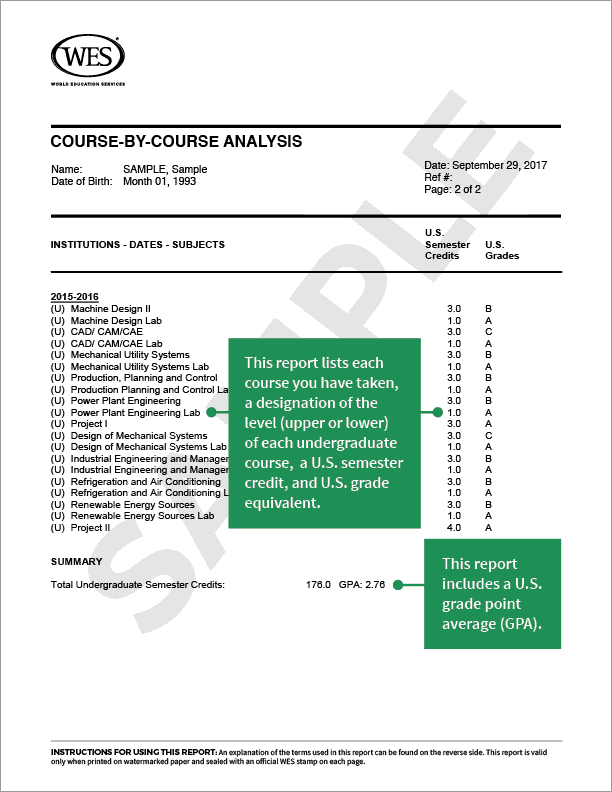 A credential evaluation is a comparison of your academic accomplishments to standards in the U.S. or Canada. This report helps institutions like schools, employers, licensing boards, or immigration authorities better understand your educational background. You also have the option to upgrade to an International Credential Advantage Package (ICAP); this means we will store your verified transcripts and evaluation report for easy sending to universities and approved licensing bodies at any time. In addition, you will receive a WES digital badge you can use to display your verified credentials on social media sites like LinkedIn. Your WES report will be completed within seven business days of receipt, review, and acceptance of all documents by WES, and payment in full. Step 1: Submit your application and obtain your WES reference number. 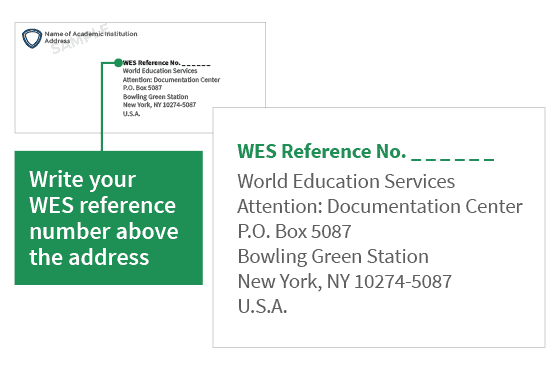 Your WES reference number is required on all documents sent to WES. Documents must be sent in a sealed envelope as shown in this image. Step 2: Send us your documents. Submit your documents according to the required documents page. 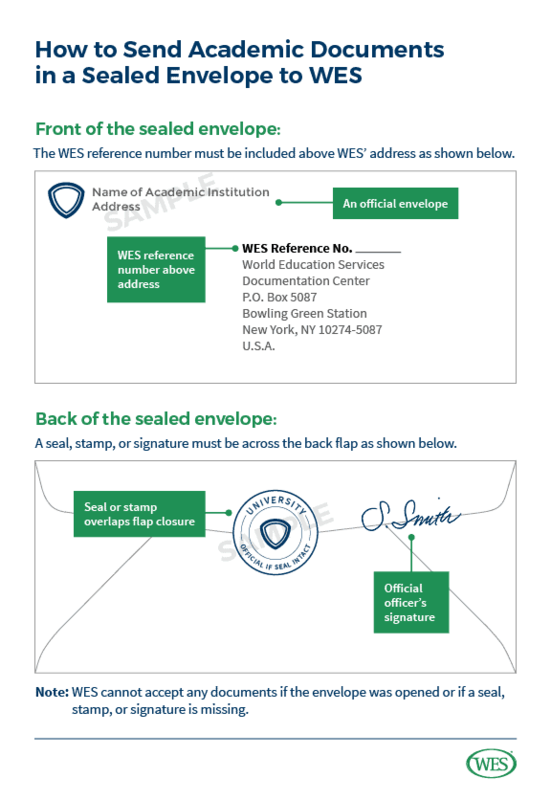 Your WES reference number must be included on the envelope, as shown in the image on the right. Do not send documents without first obtaining a WES reference number. We will review your documents when we receive them. If additional information is required, we will contact you. Once we receive all required documents and verify their authenticity, we will complete your report and send it out within seven (7) business days. Note: Delivery timelines differ for Canadian Immigration, Refugees and Citizenship Canada (IRCC) applications.